Vodafone, TalkTalk, British Gas, Target, Home Depot, BlueCross BlueShield… What do all of these companies have in common? They’ve all been in the news in the past couple of years (or weeks) for data breaches that left thousands (or millions) of their customers exposed. With more and more data breaches reported every day, hacker attacks are becoming a common occurrence in both large and small businesses. It might seem, as you see yet another breaking news story of a huge data breach, that there’s no way to avoid your turn in the media spotlight. With good security protocols, though, that’s really not true at all. Identifying the sensitive data you collect from your customers, ensuring that it’s encrypted, and taking the steps to fortify your network with firewalls and other security measures will help a great deal. Did you know, though, that there are measures you and your employees can take on social media to significantly decrease the chances of a breach? First of all, this may seem counterintuitive, but blocking Facebook and Twitter on your company’s network may actually lead to a network vulnerability. Why? Well, if you ban use of social media sites on company computers by blocking them on your network, you’re more than likely going to have at least one person try to circumvent the system. When they figure out a way to through your firewall to a blocked site, they’ll have just created an opening in your network that a hacker could exploit to get in. Hackers troll the Internet looking for usernames, email addresses, and passwords. If your employees post their work email addresses and information about their jobs on Facebook, you could be looking at an attack in the near future using that information. So, while you can’t (and shouldn’t) stop your employees from posting their place of employment on social media, you should encourage them to leave out the details, especially email addresses and usernames. If your employees are going to talk about work, mention your business, and/or give people their work email address on social media, make sure that they know how to change and update their privacy settings. If you can’t keep them from posting this information on social media, at least you can restrict who gets to see it. Finally, we know that your business has a social media presence (if not, it should), and you can actually protect your data security here, as well. 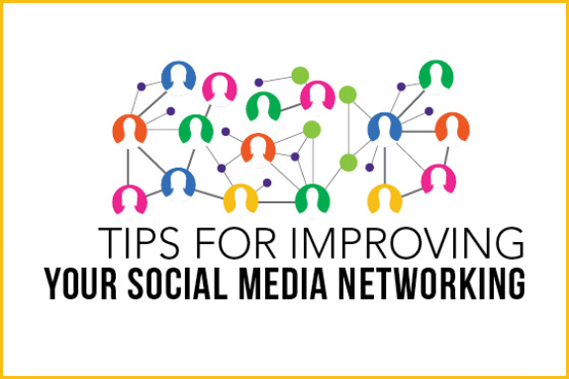 Make sure that you limit who can make updates and changes to your company’s social media pages. Then make sure that those who have access are well versed in your policies for what goes online and what stays behind closed doors. Keep these tips in mind when using your personal social media accounts, when discussing social media use with your employees, and when updating your company’s accounts, too.